Help us build our stage. 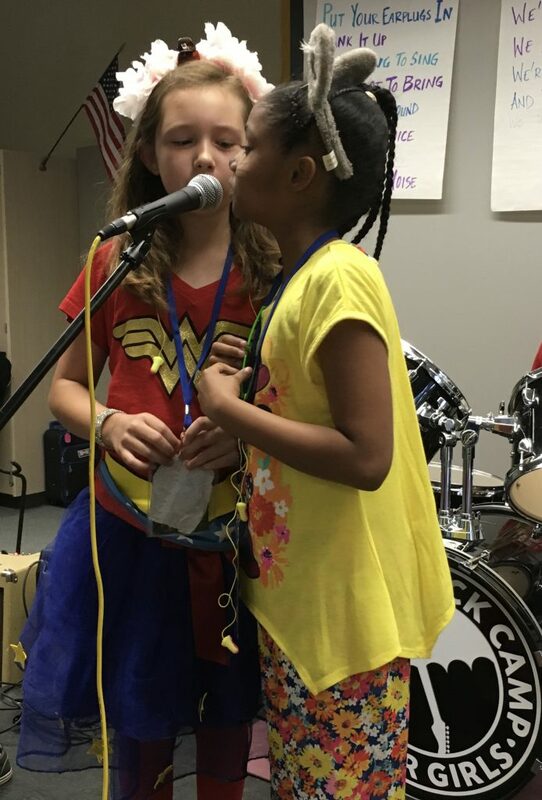 Now more than ever, we need to ensure that girls, women and gender non-conforming individuals have a safe and welcoming community of peers, mentors and allies who will cultivate creative expression, amplify their voices above those that would perpetuate oppressive systems, and fight for a just and equitable society! THIS is why Rain City Rock Camp exists and YOUR contribution is a vital part of holding space and spreading the message: Our voices matter. Please consider supporting our organization so that we can continue to provide transformative experiences for our community and be the change we want to see in the world! You can use the form below for your secure online donation or set up a recurring monthly gift. If you have any questions, or for any other donation assistance, contact us. Because we are a 501(c)(3) non-profit, your gift is tax deductible and you will be provided with a tax receipt. Is your donation a gift in the name of someone else? If your donation is a gift in someone else's name, please provide their name and address here. You can enter your donation amount after selecting which type of donation you'd like to give. Thank you for joining us in helping empower youth to reach their full potential!